Jason Ellis quickly grew into a successful listing agent early on in his career. Before online marketing developed, he established himself as a well-known, dedicated real estate agent in Myrtle Beach through word-of-mouth and successfully marketed properties with deliberately planned campaigns. Marketing changed significantly for the rapidly evolving industry and Jason easily adapted by staying updated on the latest technology and digital marketing solutions while staying true to his original marketing plan, a solid reputation and unrivaled professionalism. Though the basis of Jason’s business principles focus on traditional work values, he has excelled in online real estate marketing since the beginning. He believes in developing with the constantly changing marketing experience in order to stay competitive and succeed for his clients. 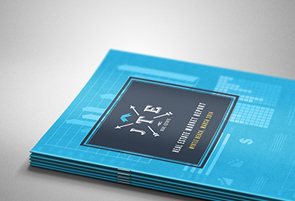 The JTE Real Estate website is the foundation of the online marketing campaign. Developed by a professional real estate website developer, this is the hub for all of the digital marketing strategies used to market clients’ homes strategically and effectively. Social media allows us to connect not only with friends and families, but with brands and companies we love. It also helps real estate professionals highlight homes in front of the ideal audience. You can follow Jason Ellis on Facebook, Twitter, YouTube, and LinkedIn to keep up with market trends and see the most recent listings before anyone else! Diverse marketing techniques are important, but nothing will ever overpower traditional marketing. Connecting with potential buyers and word-of-mouth will always remain an integral piece of a strong, effective marketing campaign. Print marketing help place professional photos of your home in the hands of potential buyers and real estate professionals with extensive networks. Sometimes holding a home’s profile in your hands can make more of an impact than browsing through listings online. After decades of experience, Jason knows what sells and what doesn’t. Potential buyers want to be able to see themselves in a home. They need to imagine their own furniture and lifestyles fitting in with the home’s character and environment. Ensuring some of the details are taken care of can significantly improve how the home shows to potential buyers. Clean, organized homes show best to potential clients, so that they can easily see the home in its finest state. Taking care of the smallest cosmetic defects can make a world of difference. Make sure your home is clutter free and the smallest nooks and crannies have been cleaned. For open houses, remove all photos and mementos that personalize the home too much for the buyer to see themselves in the home. If you have never participated in the selling of your own home, you can rest assured that Jason Ellis knows exactly how to prepare your home to make the best impression and highlight the most appealing features. The most difficult step of the selling process can be settling on the price. The market changes constantly, which is why you need an experienced real estate agent that knows how to determine the most competitive price without undervaluing your home. 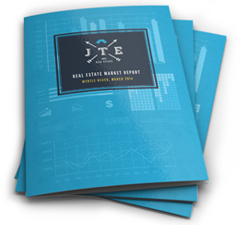 With each listing, a thorough Comparative Market Analysis is necessary to establish the value of your home in relation to similar homes on the market in the same area. The size of your home, interior details, exterior features, add-ons, and land will affect the listing price of your home. Jason will thoroughly analyze your home and the local market to advise you on the best listing price to begin the selling the process. Though determining the initial listing price can be the most challenging aspect of selling your home, Jason has many years of experience behind him to determine the best price and strategically negotiate the final sale.